As many visitors to Austin this week for the South by Southwest festival complained about navigating the city without the help of Uber or Lyft, state lawmakers took up the future of ride-hailing in the city and across Texas at a hearing Tuesday. After almost two hours of witness testimony, three bills aimed at overriding local regulations concerning ride-hailing companies were left pending at the Senate Business & Commerce Committee, though at least one of the bills is widely expected to eventually move on to the full Senate for a vote. At issue is whether companies such as Uber and Lyft should have to require their drivers undergo fingerprint-based background checks, much like many cities require of traditional taxi drivers. After Austin implemented such a rule, Uber and Lyft spent millions in an effort to overturn it — an effort that ultimately failed when voters rejected a ballot proposition in May 2016. After the vote, both companies immediately suspended services in the city, and the resulting ride-hailing vacuum attracted several start-up ride-hailing apps to Austin, all of which require their drivers to be fingerprinted. While Uber has left other Texas cities over fingerprint requirements, including Corpus Christi and Galveston, the company continues to operate in Houston, the state's biggest city, even though city regulations there still require drivers to be fingerprinted. Senate Bill 176 by state Sen. Charles Schwertner, R-Georgetown, and Senate Bill 361 by state Sen. Robert Nichols, R-Jacksonville, received a joint hearing after committee chairman Kelly Hancock, R-North Richland Hills, noted their similarities. Both bills establish a statewide framework to regulate ride-hailing companies like Uber and Lyft and undo local rules that the two companies have argued are overly burdensome for their business models. A majority of about 30 witnesses supported the bills at Tuesday's hearing, including representatives with Uber and Lyft. April Mims, a Lyft representative, said 37 states have adopted comprehensive ride-hailing laws and Texas should be next. Twenty Texas cities have their own ride-hailing ordinances, she said. "Some of these cities are within 30 miles of each other and no two policies are the same," she said. "This regulatory structure is not sustainable and is contrary to Lyft's mission to build an effective network across Texas." Austin City Councilwoman Ellen Troxclair, who opposed the city's ride-hailing rules last year, testified in favor of a state law that would override them. Troxclair said the departure of both ride-hailing companies hurt Austin businesses and led to the rise of a transportation black market. “A Facebook group with over 40,000 members offers to connect people, anybody who wants a ride or anybody who's willing to give one, regardless of an affiliation to a ride-sharing platform or a background check required,” she said. Critics of the bills included the Texas Municipal League and Austin City Councilwoman Ann Kitchen. 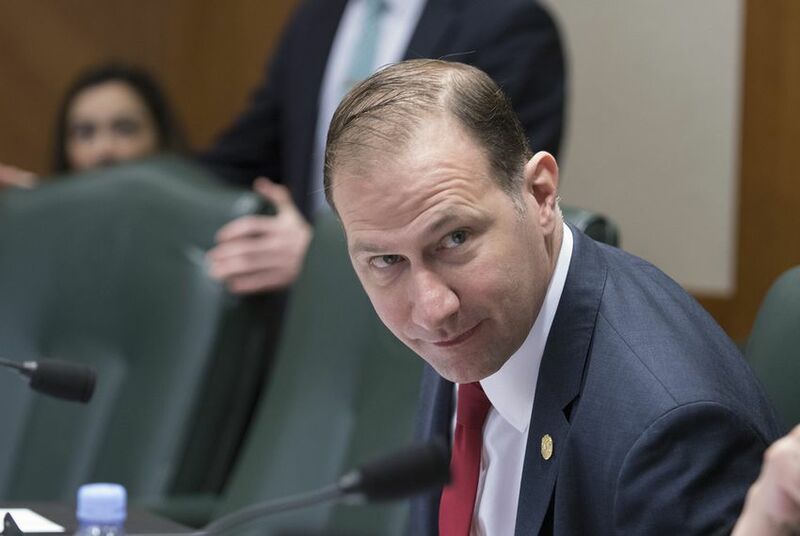 Kitchen, who introduced the rules establishing the Austin fingerprinting requirements that prompted Lyft and Uber to leave the city, defended the city’s fingerprinting requirement and said the city has fingerprinted 8,000 drivers. At the time the city adopted the rules, she said, the city's then-police chief, Art Acevedo, told the council that fingerprinting increased security. After a push from Hancock, Kitchen acknowledged that Acevedo, who has since become chief of police of Houston, also said that ride-hailing companies are important in reducing drunken driving incidents. David Piperno, chief financial officer of Fasten, the Boston-based company that has taken over a large part of the Austin ride-hailing market since Uber and Lyft left, said the city's fingerprinting requirement helped him avoid hiring drivers with criminal backgrounds. In Austin, 2.6 percent of driver applications had been rejected since the rule was enacted, he said. Schwertner noted that the company operates differently in its home city of Boston. "You're all Boston-based company? And they just passed a very large bill regarding this," he said. "Did they require fingerprinting to be a driver in Massachusetts?" Some witnesses criticized the bills for weak language regarding users with disabilities. In many Texas cities, traditional taxi companies are required to have some accessible vehicles. Witnesses representing taxi cab companies also spoke against the bills. At one point, Schwertner asked a representative for Texas Taxi why he was at the hearing, saying neither SB 361 nor SB 176 change regulations for the traditional taxicab industry. "There are parts about regulation that we feel are about consumer choice and public safety," said John Bouloubasis, president and CEO of Texas Taxi. "Is it about public safety or about protecting your turf?" Schwertner asked. "No, it's public safety," he said, citing instances of passengers sexually assaulted by ride-hailing drivers. Over in the House, state Rep. Chris Paddie, R-Marshall, has filed House Bill 100, which would also set statewide regulations for ride-hailing services. That bill will be heard by the House Transportation Committee on Thursday. Disclosure: Uber, Lyft and the Texas Municipal League have been financial supporters of The Texas Tribune. A complete list of Tribune donors and sponsors can be viewed here.